Southeast Asia is often seen as this exotic continent so different from the western world, and rightly so! Different languages that have no common latin base, different values, different religions and even different notions of medicine (traditional and holistic vs. modern technology). It is an amazing place to visit because it is so different. 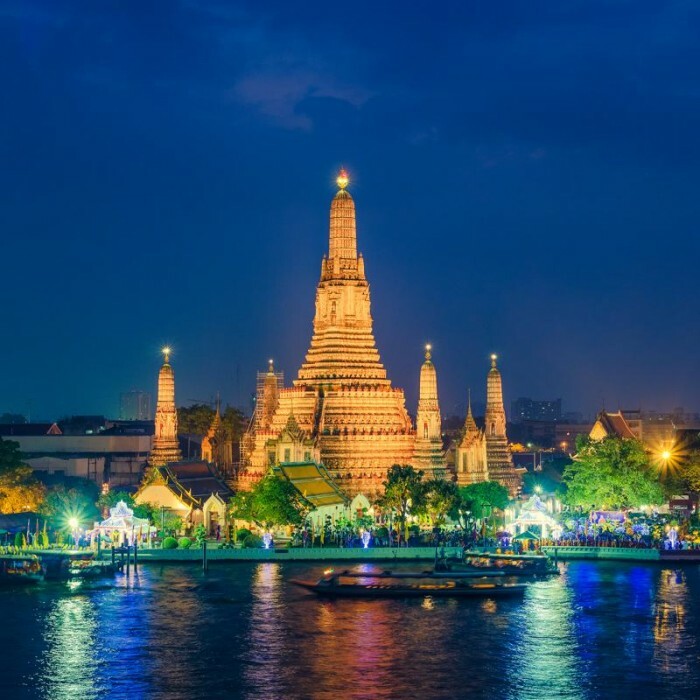 Southeast Asia could be classed as the teenager of Asia, especially compared to the more sophisticated East Asia, but despite it’s crazy atmosphere it is a place in the world that really bares all and allows you to see real life in all its glory. Southeast Asia gets millions of tourists a year and it is relatively easy to travel around, especially places like Thailand, Cambodia, Vietnam, Laos, Myanmar, Indonesia, Malaysia and Philippines who are relative experts at dealing with tourists. So many travellers head to Asia with a lonely planet and a backpack, but here are the 10 things you should know about before traveling to Southeast Asia. You would be surprised how many travellers don’t even learn please or thank you in the language of the country they are in. Maybe they are just passing through or everyone speaks English, but during my time in Southeast Asia I have seen how a few words, or even a thank you in the local language can bring out a smile (or a laugh depending on how difficult the pronunciation is) that you will never forget. It means so much more to locals when you thank them in their mother tongue, and it also shows that you took the time to learn more about their country than the name of the beach or local alcohol! Yes Malaria does exist and yes, it is not pleasant, but if you do get it, it is not the end of the world. Malaria pills do not stop you getting malaria, they just minimize the side effects once you do get it. And unless you are trekking in the remote jungles of Myanmar (and by remote I mean you haven’t seen another foreigner for days and your guide doesn’t speak English), the chances of you catching Malaria is small. It is wise to take a course of pills with you and if you start to feel the symptoms then you can start taking the pills, but since they often have side affects, don’t bother taking them for the whole trip. What you should buy (and apply religiously in the evenings) is a strong high DEET mosquito spray. Most cosmetics and toiletries in Asia contain whitening elements to bleach the skin (think of the opposite of tanning moisturiser). While many people like to buy their toiletries when they arrive to save on the baggage allowance, be warned that you might have to buy a whitening deodorant (and believe me it does work). Buy shampoo here, bring moisturiser or deodorant with you. Perhaps because the sun is always around in Southeast Asia, or perhaps because of the love of white skin, Sun lotion seems to be exorbitantly priced. Bring few bottles for face and body with you. If you are travelling as a couple then you will bring smiles to everyone around you. Most Southeast Asians love to see love and feel at ease because they understand a man and woman travelling. Of course it gets more tricky when you tell them you are just friends, it’s complicated, or that you met last night at a party and don’t know anything about the other person, but in general it will make locals smile. A little affection also goes a long way e.g. hand holding or a kiss on the cheek. However public displays of affection are rarely seen and are not culturally appropriate so stick to hand holding. While it seems more acceptable that men travel solo (probably looking for a wife), Southeast Asians just can’t quite grasp why women travel alone. It is fine to do and quite safe but be prepared for the annoying ‘Where is your boyfriend?’ question or the look of pity when you tell them you are single. Since the locals love love they might even try to set you up with another solo traveller. Most restaurants and street stalls in Southeast Asia see that you are a foreigner and so will add less spice to your meal as they know you probably can’t handle it. If you do love spicy food then be prepared to beg them for a spicy version – ask twice and you will get what the locals get, but ask for extra spicy three times and they will challenge you to a mouth of fire! Some locals won’t understand exchange rates and will assume you are rich. It is strange phenomenon that no matter how hard you try to explain Southeast Asians won’t truly understand if they have never left their country. Yes everything is cheap when you are travelling with Euros or Pounds but at home living costs are higher. However don’t forget that in Asia costs are low but so are wages, so don’t waste time haggling over 20 cents – it means more to them then to you! At the same time as becoming rich, some locals will judge you on your choice of clothing and sometimes assume you are poor. In most of Asia looks and self hygiene are extremely important and so when they see you in a three day old shirt, or smell you, they will assume you cannot afford to look after yourself. Most of the time travelers visit Southeast Asia on a shoestring budget and locals are slowly starting to change their understanding – although they will still dislike the smell! Many people in the tourism industry won’t have a chance to go abroad – ever. They simply cannot afford it (especially with those pesky exchange rates and visa restrictions) so talking with you is the closest they will get to experiencing foreign culture. It might not seem a lot to you but bringing a few souvenirs from your home country will mean a lot to Southeast Asians. Small Norwegian flags, Italian postcards and Australian kangaroos often have pride of place in any guesthouse and even the smallest of gifts will invoke the famous Asian smile! Travelling around Southeast Asia is always an amazing experience. The people and the scenery will blow you away and it is not somewhere you only go once. Taking these tips in mind will allow you to have an even better time in Asia and clear up some cultural misunderstandings when you arrive. Finally the the best advice is to just smile, almost every problem can be overcome with a smile (and failing that a little money).